All Altonah homes currently listed for sale in Altonah as of 04/23/2019 are shown below. You can change the search criteria at any time by pressing the 'Change Search' button below. If you have any questions or you would like more information about any Altonah homes for sale or other Altonah real estate, please contact us and one of our knowledgeable Altonah REALTORS® would be pleased to assist you. "Unique Country Style, Two-Story Log-Home in beautiful Altonah on 5 acres! Crystal clear view of the High Uinta Mountain range. Fifteen minute drive from Moon Lake and Upper Still Water Reservoir. Don't miss the chance to see this one! INT. FEATURES: New Stainless Steel Appliances. Walk-in pantry, custom craftsman wood shelving in kitchen, 'Blaze King' wood stove with new DraftMaster chimney cap. Tons of storage throughout, including eave storage the entire length of the house. Newer water heater and furnace. Unfinished master bathroom upstairs...is plumbed and has working toilet. EXT. FEATURES: New water spigots. Large piped corrals with water spigot for livestock. Mature Apple and Apricot Trees. Vegetable Garden. Serviced by Upper Country Water Improvement District which is the best drinking water around according to locals! " 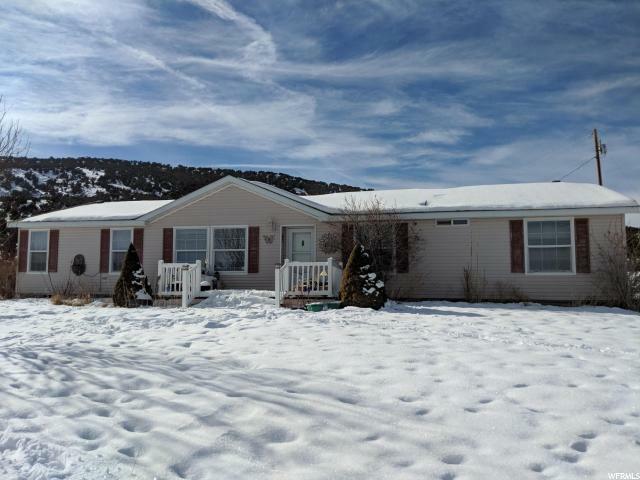 "Come check out this well kept home with amazing views over looking the valley in Clay Basin. Owner has taken great pride in the yard and has various perennials that are absolutely breathtaking in the spring and summer. 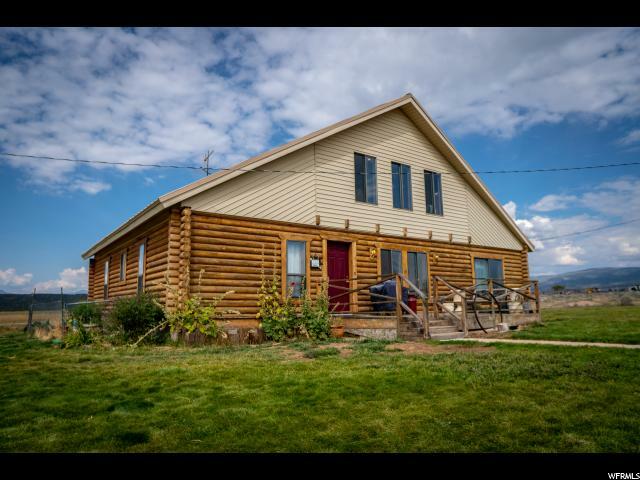 With 10 acres you have plenty of privacy and room to run, this home won't last long. Square footage figures are provided as a courtesy estimate only and were obtained from county records. Buyer is advised to obtain an independent measurement." 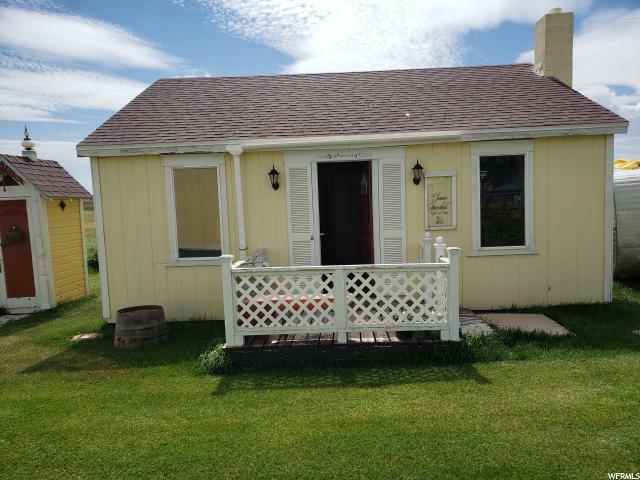 "This is a very cute 24 x 24 building that was used as a guest home. The building has electrical through out and is separated in two rooms each being 12 x 24 feet. It is well built and must be moved at buyers expense. A must see could be a great tiny home with a little work, so may possibilities!"